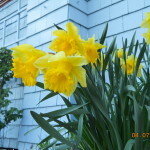 Welcome to the Blue Gull Inn B&B, located in the historic Uptown District of beautiful Port Townsend, Washington. The Blue Gull Inn B&B is one of the first homes built in Port Townsend in 1868, by ND Hill – just 3 years after the end of the Civil War. The Inn is centrally located and within walking distance of restaurants, beaches and shopping. Perfect for a week long visit or weekend getaway! The six guest rooms at our Port Townsend Bed and Breakfast are uniquely decorated. Each guest room offers a private bath, three of which have showers only. The Angel &; Cypress rooms have whirlpool tubs and telephone style hand-held showers. Our Garden room is complete with an old-fashioned cast iron tub and shower combination. All rooms include breakfast each morning, served in our dining room at 9:00. Free wireless internet, a guest refrigerator (located in upstairs hall), enjoy afternoon treats and coffee/tea in our dining room. Walking along the sandy beach to the Point Wilson Lighthouse, you can look across the water to Whidbey Island, and the San Juan Islands in the distance. All ships entering and leaving the Puget Sound, pass right past Port Townsend, WA., so you will see lots of marine traffic, as 10,000 freighters use the shipping channel each year, along with Cruise Ships and U.S. Navy vessels. In the early days of Washington State many ships made port in Port Townsend to take advantage of our deep water port but more importantly all the brothels and bars on the downtown waterfront. Guests are welcome to relax in our garden, or on the spacious covered front porch in our “Cracker Barrel” rocking chairs. Some other activities you might enjoy during your visit include wine tasting, fine dining on “northwest cuisine”, festivals, biking, hiking and whale watching! Local shops have everything from gift items to antiques for you to browse and enjoy. Educational opportunities abound through Centrum, at Fort Worden as well.